The struggle to find an affordable 8 string guitar that does not fall apart after 6 months and actually sounds good is real. The market is oversaturated with instruments that don’t live up to the quality we like, or I like. Gimmicky instruments with barely any value dominate the market, and here I sit mourning the fact that it’s so hard to find a good guitar. But there might be a saviour. Let us take a look at the Ibanez RG8 8-String and see how it lives up to my standards. Straight of the bat, I’d like to say something. I might bash the design of the guitar a little more than usual, but it doesn’t mean the guitar is not nice or not acceptable. So, let’s get into this instrument. The design of the guitar is unexciting, taking cues from all of the other, more successful or more expensive instruments. The stratocaster imitation body with a double cutaway neck shape and a solid coloring. Nothing out of the world. The body of the guitar is made out of basswood. I love basswood because it makes for a very cheap and good hardwood, but I also have a problem with basswood being used for guitars with extra strings. The toneal benefits of basswood are great, with some lovely low resonance and a steady, consistent mid and high tone. 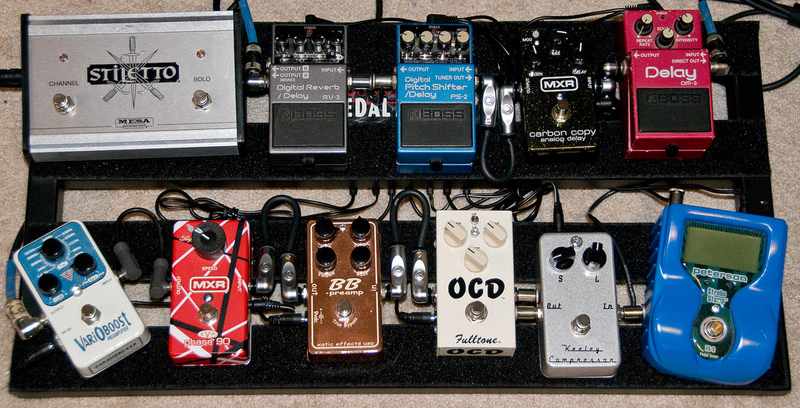 The light weight is also a great thing to have, especially on a heavy guitar like an 8 string. The problem comes when you consider the durability of hte basswood, which is slightly sub optima. Denting and scratching are normal, but what scares me is the prospect of maybe, one day, basswood not being able to handle the pressures of the 2 extra strings. Thankfully, I have yet to see a break because of this. The neck of the guitar is a composite of maple and walnut. This allows the guitar an interesting combination of weight and sturdiness. The maple allows the guitar to remain unwarped and resistant to damage, while the walnut keeps it steady and light. The wizard III type bridge allows for great sturdiness and stability. The fretboard of the guitar is made of rosewood. The guitar comes with a fixed bridge. This allows the guitar some great string stability, as well as some good action. The nut of the guitar is unfortunately made out of a cheaper material. This means the guitar has a harder time staying clean and string buzzless in sound. With the 8 strings present, this means some noise issues. The tuning machine of the guitar is decent. The tuning stability is nothing to rave about, but it definitely does not warrant a thrashing either. The guitar comes with a dual humbucker set up. IBZ-8 humbucker at the neck and the IBZ 8 Humbucker at the bridge. These two passive, ceramic pickups are decent, though I have seen better choices of passive pickups on 8 string guitars. They provide a good level of output and an interesting level of tonality, though not entirely able to catch the full detail of the 8 strings. Still, the pickups do a good job of picking up sound. The string buzz is something they mostly neutralize, though a little noise persists. The controls on the guitar go for the simple and easy route. You get one knob for master volume and one knob for master tone. You also get a lever that allows you to choose your pickup configuration. The sound of the guitar is rather good, if some parts are ignored. The low tone growl produced by the instrument is exceptional, with the pickups doing a great job of keeping the lows of the guitar detailed and loud. The overall output of the guitar is lovely. The little bit of noise present in the sound disappears when you start playing. I would love a little more detail in the high tones of the guitar, but overall the sound is good. This guitar has a lot of things going for it and against it. Still, the balance is well kept and means that I will be recommending this guitar to most of you looking for an 8 string guitar. 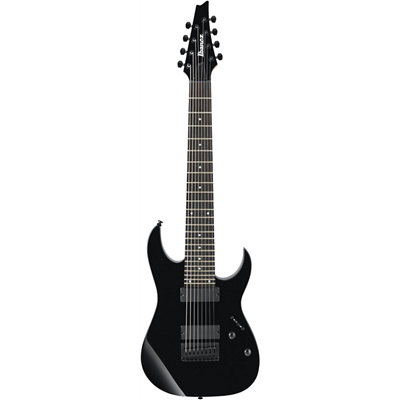 Click here to find out more about Ibanez RG8 8-String.